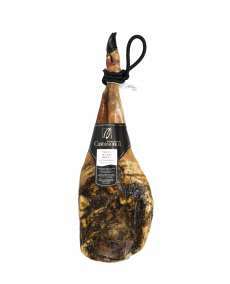 Made from unique specimens of iberian pigs raised by natural feed in his natural environment. This provides a healthy and exquisite product. 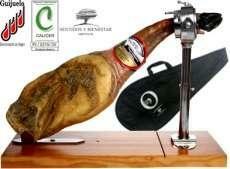 The ham is cured in a natural way according with the weather in the elaboration zone. Maturation: More than 18 months. The product is shipped in cardboard box with protection anti fat.